With less emphasis on language accuracy and more on academic competency, UK universities have high expectations of their foreign students. This talk will explore how a teacher’s silence, ie: active listening, combined with simple probing questions, demanded higher of students on a pre-sessional course and pushed them to think more deeply for themselves. 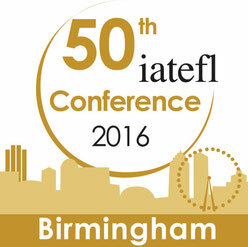 The first blog I posted here explains what motivated me to send in a proposal to talk in Birmingham in 2016 - the 50th anniversary of this wonderful conference. Now that the proposal has been accepted, I want to build a path towards the session where I hope you will join me to continue discussions and explorations of how a thinking environment can work in our world - teaching English as a foreign language and / or for academic purposes. Slides with notes from the talk. Note I have taken out the Nancy Kline video which can be watched in the Thinking Environment page.